American Cichlids are generally aggressive toward other species but Ram’s often have an endearing personality and can be housed with other placid species in the aquarium. 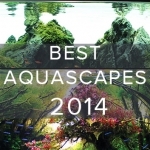 There are many kinds of Ram Cichlids that differ with regards to location and availability. These include Electric Blue Ram, Bolivian Ram, German Blue, German Gold, and Angel Ram. They are named mostly based on their color and appearance. Interestingly, most species of Ram Cichlid pair with their mate for life. This is an unusual characteristic in aquarium fish and may support the basis for a higher level of intelligence within this species. Ideally, Ram Cichlids should be kept in a tank of fifty gallons or larger. At the bare minimum, they can be housed in an aquarium of at least 20 gallons. Rams are not a suitable beginner fish. 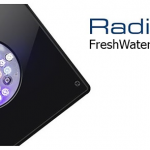 They require a very high standard of water quality and are sensitive to swings in pH, temperature or nitrates. Rams are a social species and it is encouraged to keep at least four in an aquarium at any one time. 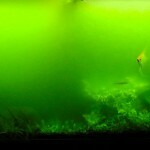 Bunched plants should be distributed around the aquarium, ensuring that there is enough cover for the Rams while still allowing enough space for swimming. Rams like to hide in caves, and they will look for caves to hide their eggs in; therefore they can get aggressive at spawning time if there is a lack of suitable caves for them to do so. 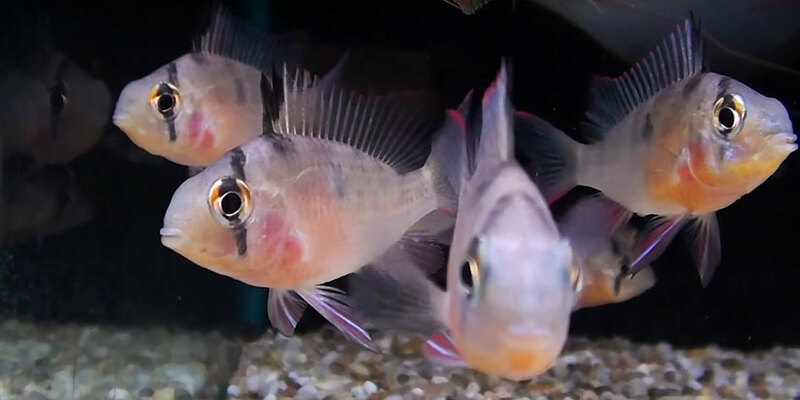 The Ram Cichlid breeds in reasonably soft water conditions which may require altering from the aquariums current status, this can be achieved through the addition of a small bag of rinsed peat to the aquarium filter. The water should have a neutral PH (to slightly higher pH) balance for optimal breeding. The water temperature can be raised to be slightly higher than the usual temperature to sit between 77°F and 82°F. Warmer temperatures increase activity and will improve chances of breeding. 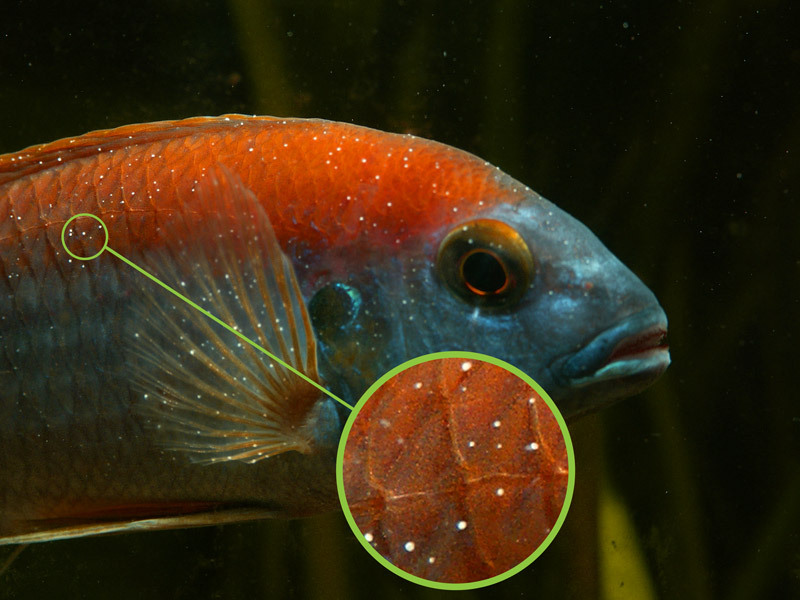 Both the mother and the father Ram Cichlid are involved in raising the fry which is unusual for freshwater species. 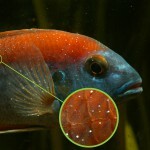 The father Ram Cichlid will house the fry in his mouth if there are signs of danger or safe transport is required. Special care should be taken to ensure that the newborn fry are not swept into the filter. 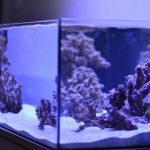 This can be achieved by switching to an air filter or using sponge covers for the water intake. American Cichlids are omnivorous and will accept a wide variety of foods. It is reccomended to feed your Electric Blue Ram Cichlid a rotation of freeze-dried bloodworms, tubifex, ocean plankton, flakefood and Cichlid pellets in order to maintain a good diet.